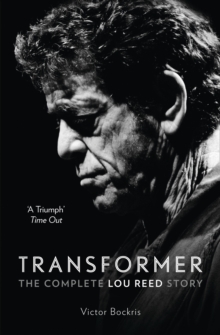 `A triumph' - Time OutTransformer is the only complete and comprehensive telling of the Lou Reed story. Legendary songwriter and guitarist Lou Reed passed away on the 27th October 2013, but his musical influence is assured. 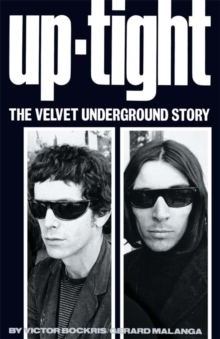 Now discover the true story of the Velvet Underground pioneer in this update of Bockris's classic biography. Transformer: The Complete Lou Reed Story follows the great songwriter and singer through the series of transformations that define each period of his fifty year career. It opens with the teenage electroshock treatments that dominated his memories of childhood and never stops revealing layer after layer of this complex and often anguished artist and man. Transformer is based on Lou's collaborations with the hardest and most romantic artists of his times, from John Cale, Andy Warhol, and Nico, through David Bowie, Robert Wilson, Laurie Anderson and the ghost of Edgar Alan Poe. Rippling underneath everything he did are Lou's relationships with his various muses, from his college sweetheart to his three wives (and one drag queen). Leading Lou Reed biographer, Victor Bockris - who knew Lou throughout the Rachel Years, from Rock `n' Roll Animal to the Bells - updates his original biography in the wake of Lou's death. 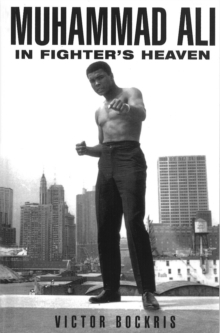 Through new interviews and photos, he reveals the many transformations of this larger-than-life character, including his final shift from Rock Monster to the Prince Charming he had always wanted to be in the twenty years he spent with the love of his life, Laurie Anderson . Except with Lou, you could never really know what might happen next... 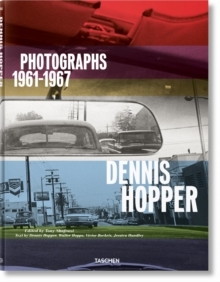 Including previously unseen photographs and contributions from Lou's innermost circle and collaborators that include similarly esteemed artists such as Andy Warhol and David Bowie, Transformer is as captivating and vivid a read as befits an American master.